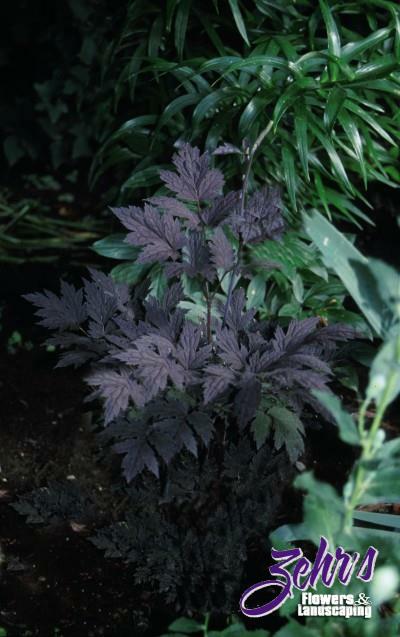 The beautiful, lacy foliage of 'Hillside Black Beauty' emerges in early spring with green tones, but quickly deepens to purplish-black. The dark foliage contrasts nicely with the fragrant, white, bottlebrush blooms in late summer. Ideal specimen plant for the shade garden, combines especially well with variegated or yellow foliage plants. Discovered by Mary Ann McGourty of Hillside Gardens and introduced by PlantHaven®.